For our online tire buyers, we offer an optional road hazard program on passenger car and light truck tires. Sonsio, the nation’s leading provider of automotive warranties, is the program administrator. The program is valid for all brands of tires. Warranty services are provided throughout the U.S. by over 23,000 affiliated facilities. Proof of purchase for the program is based on certifying stamps attached to your invoice. Your original invoice with the road hazard stamps attached must be presented when making a claim. What Constitutes Road Hazard Damage? Tire Manufacturers are responsible for claims related to materials or workmanship when the tire is manufactured. Insurance companies cover damage caused by auto accidents. The Road Hazard program reimburses for tire damage caused by things such as metal, glass, rocks, potholes or whatever might be on the road. Every level of coverage includes coast-to-coast, 24/7 Flat Tire Changing Assistance with reimbursement up to $60 as a core benefit. Up to $20 reimbursement for flat repairs is available to the dealer for up to two incidents during the covered period. Three levels of coverage ensure road hazard sales on a variety of tire prices: up to $100, up to $150, and up to $250. Maximum coverage is only $250 per tire, if customer buys a more expensive tire than $250 customer will have to pay the balance above $250 out of pocket. It provides nationwide repair and/or replacement coverage at over 23,000 affiliated locations. The program Terms and Conditions below describe all the program coverages, limitations, and procedures. This road hazard plan is made by the selling dealer and administered by Sonsio Inc. This road hazard protection plan is extended only to you the original purchaser, and not to anyone who may purchase your vehicle during the term of this plan. 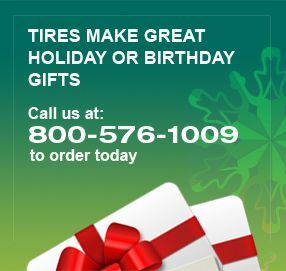 This plan covers only the tires clearly listed on your original purchase invoice, identified by the listed DOT numbers. You must purchase a plan for each covered tire. A validation stamp for each covered tire must be permanently affixed to your purchase invoice. A road hazard occurs when a tire fails due to a puncture, bruise or break incurred during the course of driving on a maintained road. Nails, glass and potholes are the most common examples. 1. Whenever possible you should return to the original selling dealer. 2. If you are unable to return to the original selling dealer, contact the administrator for the nearest participating dealer. 1. Contact the administrator at the toll free number printed on your road hazard validation stamp for prior authorization (not required for flat repair). Prior authorization must be obtained to replace the unserviceable tire or your claim may be declined. 2. You must present your original purchase invoice showing the purchase of the road hazard protection with the validation stamp(s) attached. 3. For a tire replacement you must surrender the corresponding validation stamp(s). (A photocopy of your original invoice with the validation stamps attached will be accepted for a repair). 4. You (the purchaser of this protection) are responsible for any and all charges not covered by the adjustment as described below, as well as any additional charges for mounting, balancing, taxes and disposal fees, etc. 5. The damaged tire must be made available for inspection as requested by the administrator. 6. You must sign the replacement or repair invoice. For 24 months from the date of purchase of this road hazard protection plan, you may receive reimbursement for flat tire changing assistance provided by a licensed service provider of your choice. You will be reimbursed up to $50.00 for eligible expenses incurred for flat tire changing assistance. Flat tire changing assistance is strictly limited to the installation of your useable spare tire. You must have a useable spare tire. If you need a tow, you are solely responsible for any charges. You will not be reimbursed for any tow charges. Certain vehicles may not be eligible for flat tire changing assistance. Certain vehicles may incur charges greater than the amount reimbursable for this benefit. This benefit applies only to motorized, passenger vehicles and specifically excludes trailers. If you are unable to locate a provider, please call the toll-free number printed on your validation stamp. This service provider requires use of a credit card to arrange for dispatch. The following documentation must be submitted to the program administrator within 60 days of service for reimbursement of flat tire changing assistance charges. 1. A photocopy of your original purchase invoice showing the purchase of the road hazard protection plan with the validation stamp(s) attached. 2. A photocopy of the paid invoice for spare tire installation from a licensed service provider. This paid invoice must detail the name, address and telephone number of the service provider as well as the year, make, and model of your vehicle as listed on your original purchase invoice. If your tire is damaged due to a road hazard as outlined above and can be safely repaired, the tire may be repaired at any participating facility. The repair will be covered for up to $10.00 per tire per occurrence. You are responsible for any additional charges beyond $10.00 including but not limited to balancing and taxes. The road hazard protection will remain in effect until the tire is worn down to 2/32”. You do not need to purchase new road hazard protection for a tire that has been repaired. THIS BENEFIT IS NOT VALID IN ALL AREAS. PLEASE REFER TO YOUR VALIDATION STAMP TO VERIFY COVERAGE. If a tire covered by this road hazard protection plan becomes unserviceable due to a road hazard during the useable tread life of the tire, it will be replaced with a comparable new tire. If available, an exact make/model replacement will be installed. If not available, a comparable quality tire will be installed. Under no circumstances will the coverage exceed the maximum value imprinted on the validation stamp(s). You are responsible for any additional charges including but not limited to mounting, balancing, taxes and miscellaneous fees. 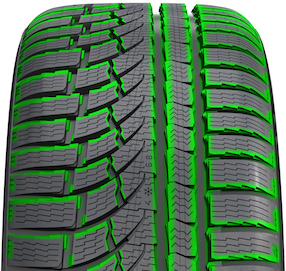 When a tire failure occurs in the first 25% of useable tread wear, and in the opinion of the servicing dealer the tire cannot be safely repaired, the tire will be replaced with coverage up to the original purchase price of the tire(s) or the replacement tire cost, whichever is the lesser. After the first 25% of useable tread wear the covered amount is calculated based on the consumed useable tread wear and the original purchase price of the tire(s) or the replacement tire cost, whichever is the lesser. When a tire is worn down to 2/32” (tread wear indicators) the tire is considered worn out and is not eligible for any adjustment. IF YOU DESIRE TO MAINTAIN THE ROAD HAZARD PROTECTION ON THE REPLACEMENT TIRE, YOU MUST PURCHASE A NEW ROAD HAZARD PROTECTION PLAN FOR THE TIRE. The following vehicles are not eligible for coverage: Vehicles with a manufacturer's load rating capacity greater than oneton. Any vehicle with a load capacity of one-ton or greater designed for, built for or used in a private recreational or commercial application including but not limited to Class A (or Type A) Motorhomes and Class C (or Type C) Motorhomes. Any emergency service vehicle, any vehicle used for hire, towing, construction or postal service. Any vehicle used for farm, ranch, agriculture, or off-road use. Coverage excludes any damage that occurs from off-road use (off-road use is described as driving on anything that is not a paved or gravel road maintained by the state or local authority). Coverage excludes damage from collision, fire, vandalism, theft, snow chains, manufacturer’s defects, abuse and neglect (e.g. improper application, improper inflation, brake lock up, wheel spinning, torque snags, etc.). Also excluded are damages caused by mechanical failures (e.g. failed shocks, struts, alignment, balancing, etc.) or interference with vehicle components (e.g. fenders, exhaust, springs, etc.). Also excluded are any tires that have been retreaded, recapped, regrooved, remolded, tubed, or repaired in a manner other than per manufacturer’s guidelines. This road hazard protection plan only covers tires that are clearly listed on the original purchase invoice, identified by the listed DOT numbers, while on the vehicle as detailed on the original purchase invoice, and you are the original purchaser. CONSEQUENTIAL AND INCIDENTAL DAMAGES ARE EXCLUDED. Some states do not allow the exclusion or limitation of consequential or incidental damages, therefore such limitations may not apply to you. No expressed guarantee is given other than that stated herein. This protection plan gives you specific legal rights; you may have other rights, which vary from state to state. The program administrator reserves the right to cancel this protection plan by refunding the original purchase price to the purchaser. IF YOUR ORIGINAL PURCHASE INVOICE DOES NOT HAVE THE PROPER VALIDATION STAMPS ATTACHED OR IS LOST OR STOLEN THIS ROAD HAZARD PROTECTION PLAN BECOMES NULL AND VOID. You may cancel this protection plan by returning to the original selling dealer and surrendering the validation stamps within 10 business days for a full refund of the amount paid for the road hazard protection plan. If a tire covered by this road hazard protection plan is replaced for any reason, the coverage for that tire(s) ceases. A new road hazard protection plan may be purchased for the replacement tire. The administrator reserves the right to deny any claim submitted with false or misleading information, or any claim submitted where the original invoice does not clearly identify the original purchaser, vehicle and tires including DOT numbers of covered tires. All claims must be submitted within 60 days of service or your claim may be denied. All claim documentation, including the tire(s) if requested, must be submitted within 60 days of service in order for claim to be considered for reimbursement.